IAR Systems Group AB, based in Uppsala, Sweden agreed to acquire Secure Thingz, a provider of advanced security solutions for embedded systems in the Internet of Things (IoT). IAR Systems, which already owned approximately 20 percent of the shares in Secure Thingz, will pay approximately 230 MSEK (US$27.9 million) for the remaining 80%. IAR will finance the acquisition either with support from a credit facility or by a directed share issue. Secure Thingz, which is based in Cambridge, UK and with an office in San Jose, California, was founded in 2016 by staff from ARM. The company develops and sells products and services for implementation of embedded security in connected devices. The company has provided security solutions for the Renesas Synergy Platform through its Secure Deploy platform offerings. Secure Thingz is headed by Haydn Povey, who previously led Arm's strategy for security across mobile, enterprise and IoT domains. Before that, Haydn Povey led the development and introduction of the Arm Cortex-M microprocessor family, which now dominates the embedded and IoT-markets and whose large market impact enabled the rapid adoption of 32-bit microcontroller technology around the globe. Haydn Povey will continue to operate Secure Thingz as CEO. In February 2018, IAR Systems and Secure Thingz introduced a jointly developed product called Embedded Trust that enables companies to safeguard intellectual property against overproduction and counterfeiting, manage software updates in a robust way, and protect end users from malware intrusion and theft or loss of data. "We are very excited to become a part of the highly competent IAR Systems team," says Haydn Povey, CEO, Secure Thingz. "We have already established a smooth collaboration with the development of Embedded Trust, and our combined resources within technology, sales and customer support will enable us to accelerate the development of the innovative security solutions that the digital products market so desperately needs." Telia wants to be among the first carriers worldwide to deploy commercial 5G and is working with Ericsson and Intel to ensure this happens. The first use cases, which was tested in September, uses 5G to deliver Internet access to a cruise ship moored in Tallinn harbour. "We want to be early with 5G and will bring it to life in Stockholm, Tallinn and Helsinki in 2018. We work together with our partners in the whole eco-system to explore the powerful effect it is going to have for our customers and in society. It’s not only about building a new network but it’s also about building a new way of thinking and perceiving what a mobile network can be and can do. High speed, low latency, guaranteed capacity and truly mobile is going to push the boundaries of digitalization and we want to be there pushing it together with our partners,” stated Gabriela Styf Sjöman, Global Head of Networks, Telia Company. An Ericsson 5G base station consisting of 5G antenna, radio and baseband, in conjunction with the Intel 5G Mobile Trial Platform – provides millimeter wave and extends the Telia mobile network to 5G. The summer break is now well past its peak for many regions. For telecom operators, traffic must be carried whether the whole country is on holiday or not, and this is surely the case for Telia Company. The recent news from Stockholm was not good. A disappointing financial report for Q2 2017 issued on July 20th forced the company to announce a 3% cut in employment, or roughly 850 people, just before the summer holidays and precisely the time many new graduates are looking for opportunities. Telia is a major employer for Sweden and has a local payroll of about 21,000 employees. For those unfamiliar with the company, Telia was once the state telephone monopoly of Sweden with roots back to 1853. After privatisation, Telia was merged with Sonera, the Finnish incumbent operator, in 2002 and the company was known for a while as Telia-Sonera, before eventually simplifying to just Telia. The government of Sweden still owns a 37% stake in Telia, while the government of Finland is believed to hold a 3% stake. 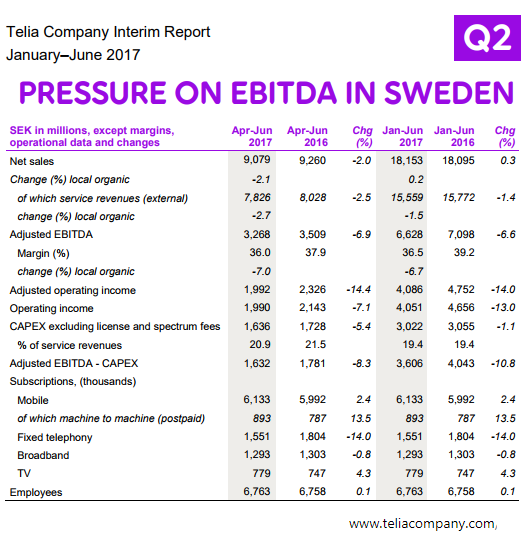 · For Q2 2017, Telia's net sales in local currencies, excluding acquisitions and disposals, fell 0.4%. In reported currency, net sales fell 6.3% to SEK 19,801 million (21,130). Service revenues in local currencies, excluding acquisitions and disposals, fell 0.6%. · The number of subscriptions decreased from 26.7 million from the end of the second quarter of 2016 to 23.4 million. During the quarter, the total number of subscriptions increased by 0.2 million to 23.4 million. · Adjusted EBITDA declined 3.3% in local currencies, excluding acquisitions and disposals. In reported currency, adjusted EBITDA fell 4.6% to SEK 6,095 million (6,389). Adjusted EBITDA margin improved to 30.8% (30.2). · Capex increased to SEK 5,180 million (3,773) and the capex-to-service revenue ratio to 30.3% (20.9). Capex excluding license and spectrum fees increased to SEK 4,718 million (3,773) and capex-to-service revenue ratio, excluding license and spectrum fees, increased to 27.6% (20.9). Several factors are putting stress on the business. First, Telia's FTTH business in Sweden is starting to 'reach the end of the fibre rollout potential'. The company says it is struggling with red tape in connecting new households to its fibre network. Specifically, 45,000 new fibre households were connected in the quarter of which 12,000 were single home, down from 22,000 a year earlier. The lower number of single home campaigns resulted in declining installation revenues of SEK 164 million compared to the corresponding quarter last year. At 1.6 million homes passed, Telia is the nation’s largest player. On a positive note in Sweden, Telia's mobile subscriptions grew by 77,000, of which 31,000 were for machine-to-machine services. Meanwhile, fixed broadband subscriptions fell by 1,000 in the quarter. The number of TV subscriptions increased by 10,000 in the quarter, largely driven by the acquisition of C-Sam. Secondly, management has concluded that operational costs are simply too high. Sweden is an expensive country to do business and to employ large numbers of people. Thirdly, there is the long-term problem impacting nearly all former incumbents – legacy telephony services continue to decline at faster rate than new services are growing. Telia's job cuts impact 650 positions in Sweden, equal to 8% of the company's Swedish employees. These cuts are expected to yield a 5% reduction in expenses for the second half of 2017. Further structural initiatives are being planned to achieve a reduction of the targeted cost base of at least 3% in 2018. While Telia is experiencing problems in Sweden, its other Nordic markets are doing better. Revenues in Finland are growing and there is double-digit growth in Norway. Revenues in Lithuania grew 13.5% year over year, but there was a 1.5% revenue decline in Denmark. Revenue is Estonia was stable. Telia also now believes that by the end of 2017 it will have completely disposed of its Eurasian assets, including the disposal of its stake in Tcell in Tajikistan, and the sale of its shares in Turkcell Iletism Hizmetleri (Turkcell). The controversies regarding the company’s alleged illegal activities in Eurasia, including bribery and money laundering in Uzbekistan, now date back over a decade and have yet to be fully resolved, despite the resignation of Lars Nyberg as CEO in 2013 along with the dismissal of involved employees. Telia still has pending legal cases with the U.S. Department of Justice, the U.S. Securities and Exchange Commission and with the Swedish and Dutch authorities. Most likely there will be a financial sanction to pay. In its Q1 2017 report, Telia said it was looking for a likely settlement to be in the range of US$1 billion. Along with the divestiture or disposal of its businesses in Uzbekistan, Tajikistan and Turkey, Telia has also sold its 77% interest in the Spanish operator Yoigo to MASMOVIL, bringing in Euro 479 million. Telia also sold its 100% stake in Sergel Group, a debt collection company, to Marginalen for SEK 2.1 billion. Its new strategy is to transform itself into a next generation telco focused on the Nordic and Baltic regions. New areas of interest include IoT, IT services, media and content. This week, Telia announced the acquisition of Data Logistics Center, one of the biggest data logistics operators in Lithuania, from Lietuvos Energija (Lithuania Energy) and Litgrid for an undisclosed sum. The deal includes a state-of-the-art Tier III data centre. Telia owns eight other data centres in the Baltics. Ericsson announced it has been selected by Hi3G Scandinavia, operating as 3 in Denmark and Sweden, for a project to upgrade parts of its radio and transmission network, expand 4G coverage and launch 5G technology. Under the agreement, Ericsson will replace existing equipment with the advanced Ericsson Radio System solution, which is designed to enable Hi3G to implement higher order MIMO and massive MIMO technology to expand coverage and capacity in its network in Sweden. Ericsson has also been selected to deploy its MINI-LINK microwave solutions, including the MINI-LINK 6363 and MINI-LINK 6352 for E-band platforms, into HiG3's microwave transmission network. Ericsson's MINI-LINK 6600 portfolio is designed to deliver high capacity, low latency, support for large numbers of 10 Gigabit Ethernet ports and Layer 3 VPN in a compact platform. The deployment of MINI-LINK outdoor units and indoor units allows any network scenario to be supported, including multiband solutions, with high performance and low cost of ownership. The combination of Ericsson Radio System and MINI-LINK microwave solutions will enable Hi3G to meet the demands of increasing traffic, as well as reduce latency and prepare its network for the move to 5G which is expected to result a massive increase in connected devices via the Internet of Things (IoT). Ericsson noted that the project marks a significant step towards expanding the capacity of the Hi3G network in Denmark and Sweden and it moves to 5G. Equinix, the global interconnection and data centre company, has announced it is working with Sweden-based independent dark fibre infrastructure provider Eastern Light to establish a new international optical cable route in northern Europe. The new cable system is non-amplified and designed to allow customers to utilise the equipment of their choice over dark fibre. The cable system will connect from Stockholm, Sweden to Hanko, Helsinki and Kotka in Finland, along the route terminating in two Equinix International Business Exchange (IBX) data centres: HE6 in Helsinki and SK2 in Stockholm. The Equinix facilities serve as key interconnection points for the Nordics region and support the transmission of global Internet traffic in the region. By connecting to Equinix data centres, Eastern Light and its dark fibre customers can leverage Equinix's established business ecosystems and interconnection platform, Platform Equinix, which provides access to the markets and ecosystems that support digital business worldwide. Equinix noted that Stockholm-based Eastern Light is currently building a series of new international optical cable routes in northern Europe, with a focus on selling dark fibre to operators and other customers that require control over their own infrastructure. Eastern Light's main supplier of submarine sea cable systems is NSW (Norddeutsche Seekabelwerke), and the new cable system has been optimised utilising Ciena's GeoMesh solutions as part of its dark fibre offering. The Sweden-Finland portion of the cable is scheduled for completion in the autumn of 2017. The new Eastern Light cable integrates the cable landing station and interconnection hub within a single solution at Equinix's Helsinki and Stockholm data centres, eliminating the need for a beach cable landing station. This helps to reduce cost and complexity and enhance reliability, and will enable Eastern Light customers to scale bandwidth using advanced networking technologies such as SDN. 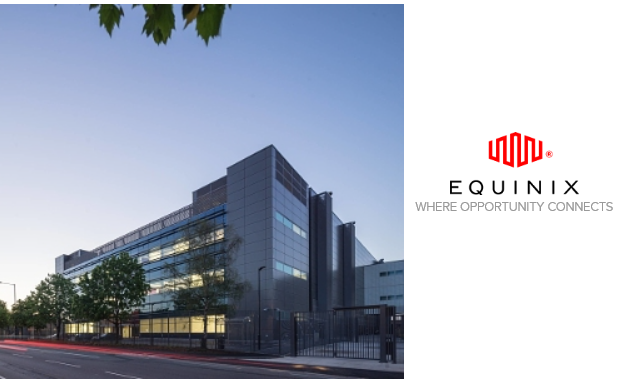 In March, Equinix announced the expanded availability of the Equinix Cloud Exchange, bringing the solution to three new markets, including Dublin, Milan and Stockholm. The solution offers direct, private access to multiple cloud providers for European businesses and enables global enterprises to orchestrate hybrid and multi-cloud solutions across multiple locations. 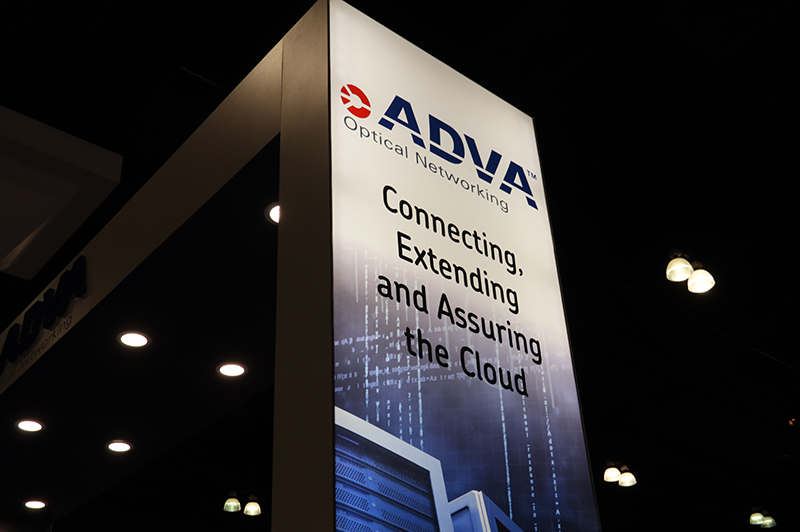 ADVA Optical Networking announced that the Swedish University Network (SUNET) has deployed its 100 Gbit/s core technology as part of a new national optical transport network. The research and education infrastructure, which spans 8,000 km across Sweden and extends into Norway, is designed to deliver coherent high bandwidth connectivity to over 100 organisations. The new system incorporates ADVA's ROADM technology, which will allow SUNET to quickly meet growing demand for new services and bandwidth. The deployment provides a 10-fold increase in the capacity of SUNET's transport infrastructure, which serves clients including national museums, scientific institutions, government agencies and 35 universities. In addition, the ROADM functionality serves to create a flexible, meshed network topology, where links between sites can be configured instantly via adding or dropping wavelengths on multiple fibres. This improves availability and, combined with Raman amplifier technology, helps to reduce latency. The new network in based on ADVA's FSP 3000 platform and features an open optical line system (OOLS), which supports operation with tunable DWDM router interfaces provided by Juniper Networks' MX2000 universal edge routers. The converged solution is designed to provide an efficient solution delivering low latency together with scalability to enable future expansion. ADVA noted that the compact footprint and low power consumption of the FSP 3000 has been optimised via tunable interfaces on Juniper MX2000 routers. Leveraging ADVA's OOLS technology, the converged packet transport solution also prepares SUNET for the transition towards software-defined networking (SDN), which will help the operator to further enhance transport efficiency and support new applications in the future. The solution was installed by ADVA integrator partner NetNordic. In July of last year, ADVA announced that Swedish ISP Bahnhof has selected its FSP 3000 solution with 100 Gbit/s core technology for a national backbone network. For the project, Bahnhof deployed the platform to upgrade its existing infrastructure to address growing bandwidth demand from enterprise and residential customers. The meshed DWDM 100 Gbit/s solution with multi-degree ROADM serves cities across southern Sweden from Stockholm to Malmo, as well as connecting to Copenhagen in Denmark and Oslo in Norway. Stockholm-based Enea, a supplier of network software platforms, announced the introduction of Enea NFV Core, a high performance, deployment-ready NFV software platform designed to enable central office virtualisation at the network edge. Enea's new NFV Core software is designed to allow network operators, service providers and telecom and network equipment vendors to develop solutions enabling a virtualised network edge that can deliver lower costs and increased flexibility in creating new services. Enea noted that while the data centre/cloud side of NFV software is maturing and becoming commoditised, in the base station and customer premise equipment segment there are currently few independent software vendors with viable offerings. In addition, there is significant potential for differentiation as the use cases differ for each deployment scenario. 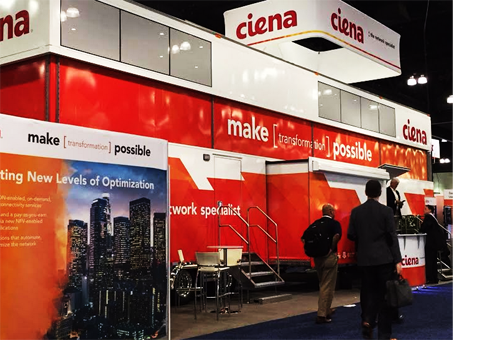 Enea aims to address typical distributed NFV use cases such as virtual CPE (vCPE), and the new Enea NFV Core platform targets central office applications. The solution provides multi-architecture support that enables virtualised network functions (VNF) to execute on both Intel x86 and ARM commercial-off-the-shelf (COTS) hardware. Enea NFV Core is based on the open technology standards OPNFV and OpenStack, and so can benefit from the speed of innovation provided by the open source community. However, Enea noted that unlike open source offerings NFV Core is hardened and deployment-ready, which speeds development time. The Enea NFV Core software has been configured, enhanced and optimised to deliver the performance and availability required for edge use cases, and has been integrated, tested and validated. At MWC 2017, Enea partnered with Lanner Electronics to demonstrate a proof-of-concept of a commercial NFV solution for vCPE built on OPNFV and able to run on x86 and ARM-based COTS hardware. The PoC involved Enea running its network virtualisation software on a central office server that sets up and initiates a video call between two tablets, one connected to an x86-based Lanner device, and one connected to an ARM-based device. 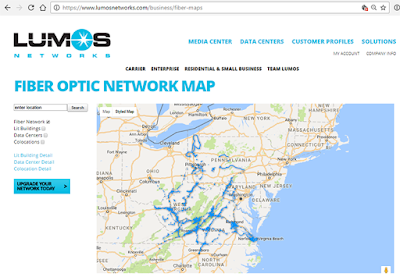 Lumos Networks, a fibre-based service provider in the Mid-Atlantic region, announced that it has entered into a definitive agreement to be acquired by the EQT Infrastructure investment strategy for $18.00 per share, representing an enterprise value of approximately $950 million. Under the terms of the agreement, EQT Infrastructure will acquire all of Lumos Networks' common stock for $18.00 per share, representing a premium of 18.2% to the Lumos Networks closing price of $15.23 on February 17, 2017. The offer price also represents a 34.9% premium to the volume-weighted price average over the last 12 months of $13.35 and a 16.5% premium to $15.45, the average closing price for the past 20 trading days. Lumos Networks serves carrier, enterprise and data centre customers, offering end-to-end connectivity in 24 markets in Virginia, Pennsylvania, West Virginia, Maryland, Ohio and Kentucky. It has a fibre network of 9,204 fibre route miles and 475,507 total fibre strand miles that connects 1,297 fibre-to-the-cell sites, 1,642 FTTC connections, 36 data centres, including 7 company owned colocation facilities, 1,984 on-net buildings and around 3,300 on-net locations. Recently, Lumos announced it had acquired Charlotte, North Carolina based DC74 Data Centers for $23.5 to $28.5 million, depending on future growth earn-out projections. It also recently announced closing of its acquisition of Clarity Communications, with a 730 mile fibre network with 75 on-net locations, mainly in North Carolina. is expected during the third quarter of 2017. EQT, based in Sweden, is an alternative investments firm with approximately Euro 31 billion in raised capital in 21 funds with portfolio companies in Europe, Asia and the U.S. Portfolio companies include Norwegian broadband provider Broadnet, IP-Only, a provider of data communications and data centre services in Sweden, subsea telecom infrastructure provider IslaLink. 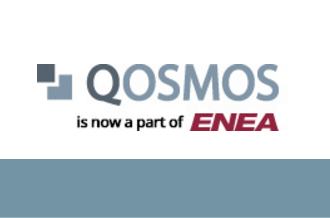 Enea completed its acquisition of Qosmos, a privately held company with leading positions in IP traffic classification and network intelligence, for approximately EUR 52.7 million. Qosmos is estimated to generate sales of approximately EUR 14.2 million in 2016. Qosmos is a supplier of Network Intelligence software based on Deep Packet Inspection. Its software provides detailed real-time traffic visibility for applications such as mobile traffic management, cyber security, and network analytics. Ericsson announced that its restructuring program is ahead of schedule in Sweden. In October, the company announced plans to eliminate 3,000 position in Sweden through a combination of a voluntary reduction program, reduction of production in Sweden, outsourcing and natural attrition during 2016. 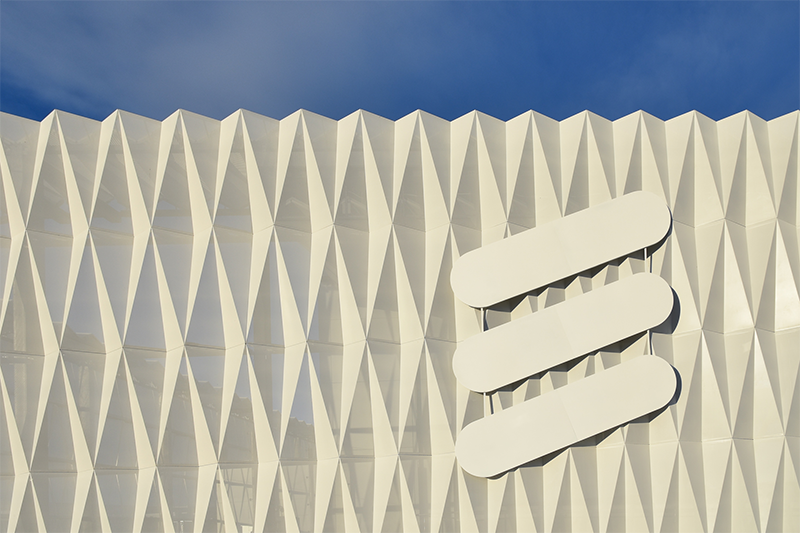 Ericsson said the voluntary program in Sweden has been successfully completed and 1,600 employees will leave Ericsson through the program on December 31, 2016. Currently, no further forced staff reductions are planned in Sweden beyond what has already been announced relating to production sites. 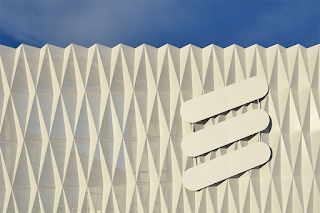 Ericsson announced plans to trim approximately 3,000 positions in Sweden, including about 1,000 positions in production, approximately 800 in R&D and approximately 1,200 in other operations. The job reduction represents about 19% of its current workforce of 16,000 employees in Sweden. 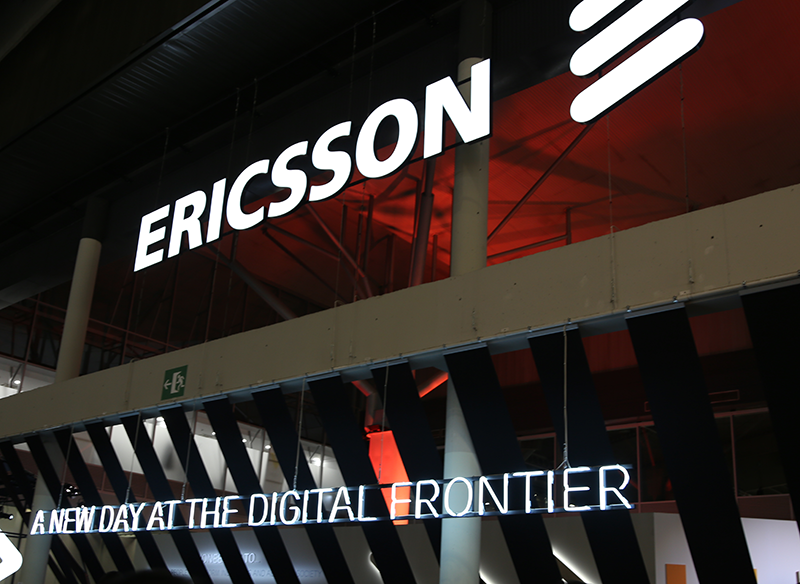 "Ericsson is going through a large transformation. We continue to have a strong focus on R&D, and since many years, most Ericsson employees work in software development and services, rather than hardware production. The measures are necessary to secure Ericsson's long term competitiveness as well as technology and services leadership," stated Jan Frykhammar, President and CEO, Ericsson. The company said the cuts will come through voluntary separation, forced reductions and outsourcing. 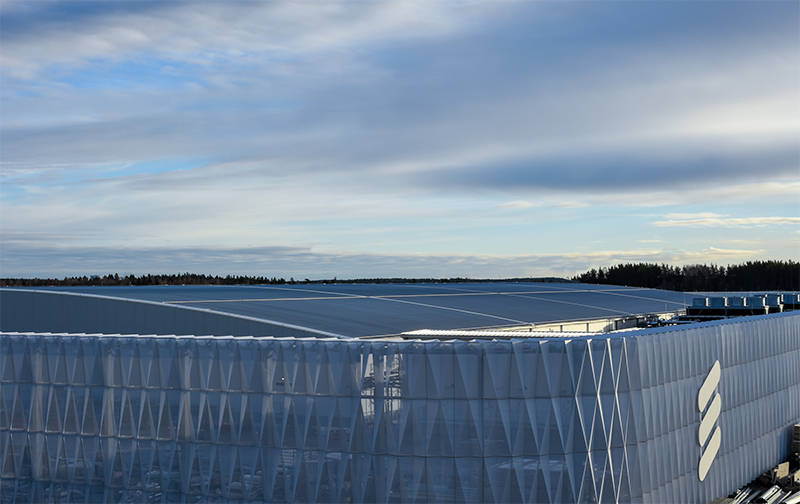 Ericsson intends to make significant reductions in operations in Borås and Kumla. Ericsson's Board of Directors has appointed Börje Ekholm President and CEO, effective January 16, 2017. Ekholm currently serves as CEO of Patricia Industries, a division within Investor. Prior to assuming this position in 2015, Börje Ekholm held the position as President and CEO of Investor AB between 2005 and 2015. Previous positions also include President of Investor Growth Capital Inc., as well as positions with Novare Kapital AB and McKinsey & Co Inc.
Ekholm is a member of the Board of Directors for Telefonaktiebolaget LM Ericsson, Alibaba Inc., NASDAQ OMX Group Inc. and Trimble Navigation Ltd. He is also a member of the University Board of KTH Royal Institute of Technology. Hans Vestberg has stepped down as President and CEO and member of Ericsson's Board of Directors. Jan Frykhammar, Executive Vice President and CFO, will assume the CEO position until a new CEO is in office. The resignation comes under pressure from the company's Board of Directors, which issued a statement saying that new leadership is required to address changing market conditions and "drive the next phase of Ericsson's development." As stated during the disappointing financial report last week, the company must further cut expenses. In a press statement, Chairman of the Board Leif Johansson says: "Hans Vestberg has led the company for seven years through significant industry and company transformation. Hans has been instrumental in building strong relationships with key customers around the world and his leadership and energy have been an inspiration to employees and leaders across Ericsson. However, in the current environment and as the company accelerates its strategy execution, the Board of Directors has decided that the time is right for a new leader to drive the next phase in Ericsson's development." In June 2009, Hans Vestberg took over as CEO of Ericsson, replacing Carl-Henric Svanberg who had taken over as CEO of BP.